Late last year, we learned Korean electronics manufacturer LG was abandoning the bold modular design it introduced with the G5. Though not a shocking surprise, the announcement did put an extra dose of intrigue on the follow-up, the G6. Yesterday, we got our first look at the forthcoming device thanks to a photo obtained by The Verge. As many surmised, the latest from LG takes a more traditional route in terms of design. The build is entirely glass and metal, with a look that echoes the Pixel and iPhone. The screen, according to The Verge’s source, will be the star this year. It’s a 5.7-inch panel with an interesting 2:1 aspect ratio and, as is shaping up to be the trend of 2017, the G6 will prioritize its display with a screen-to-bezel ratio greater than 90 percent. Other highlights of the hardware include a headphone jack, and waterproofing. The company has been at the top of the camera game for years now, and the G6 should be another serious contender for best smartphone shooter. The dual-camera system is said to return from the G5, as is the rear-mounted fingerprint scanner. One lost feature, which has been a staple of LG phones for years, is the removable battery. No word yet on what capacity the lithium-ion cell will have, but if you’ve been holding out hope the company would find a way to keep the battery removable, hold out no longer. Nothing has been said about the software of the G6, which has been an issue for LG in the past. The company is making strides on the hardware side and we can only hope a similar overhaul is being done to the company’s custom Android skin. 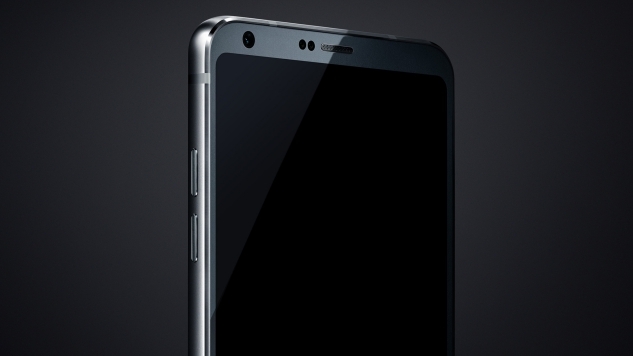 LG is set to fully unveil the G6 on February 26, one day before the official start of Mobile World Congress in Barcelona. With Samsung bowing out of the show, holding its S8 reveal for later in the year, MWC is a great opportunity for LG to build buzz around a phone it desperately needs to perform well.